At Yesware, the future of new products and innovations rests squarely in the hands of employees and a unique system involving nothing more high-tech than poker chips. At Boston-based Yesware, a four-year-old startup that creates software for sales teams, there’s an internal goal to make working there everyone’s “best job ever,” and that mentality starts with giving its employees a stake in the company’s decisions. STEP ONE: CAST A WIDE NET FOR IDEAS—FROM THE RIGHT PEOPLE. At the beginning of each quarter, Levirne and his prioritization team put out a solicitation for ideas on what tools or services Yesware should have, or improve, in their suite. “A lot of people have a lot of ideas and that phrasing gets everyone to think of the most critical ones,” Levirne says. Over the past three quarters, Levirne’s team has netted more than 330 ideas, which, given the fact Yesware has around 60 employees, seems pretty effective. After the pitches are made, a cost estimate is performed and Levirne prints out each idea with its rough overhead on individual cards that are laid out across the conference room table, floor, and even windowsills. The volume of ideas are whittled down using poker chips as a form of valuing ideas as something worth pursuing. 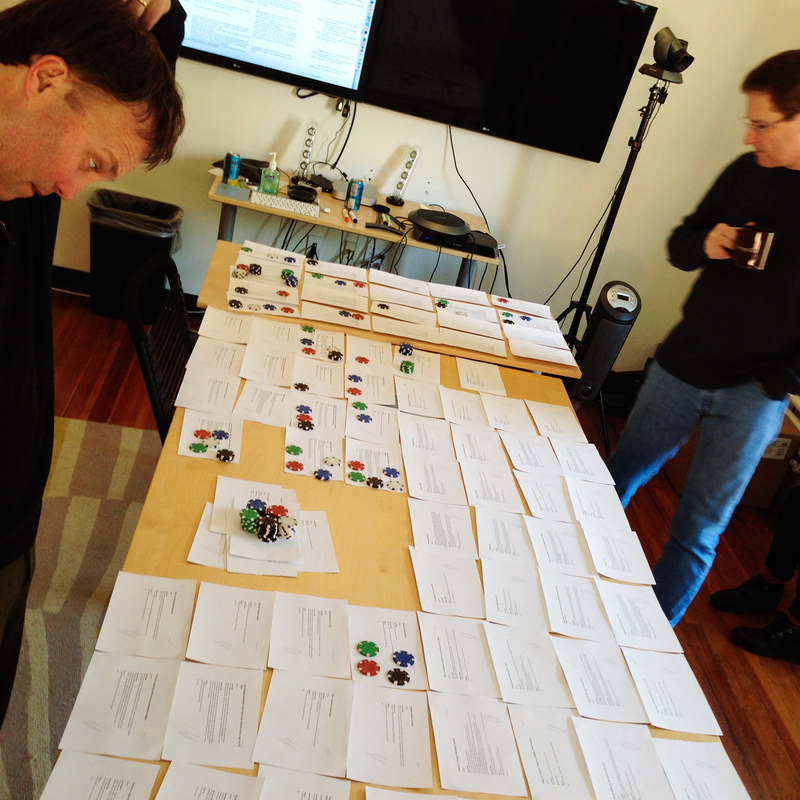 The prioritization team hands out the chips and it’s up to the employees to walk among the 100+ cards and place their bets on the best ideas. “It’s a much more fun, game-like way to do a prioritization or ranking than just sitting there looking at a spreadsheet,” Levirne says. When all the chips are in, scrum teams are assigned to build out the winning ideas with Levirne’s team tracking success rates by monthly recurring revenue and usage. 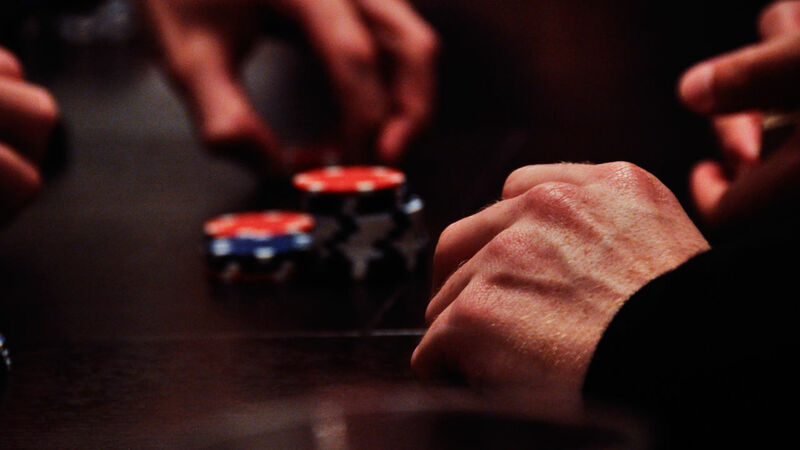 Lervine admits maintaining the poker chip system as Yesware expands will be a challenge. He’s hoping to adapt the concept at scale by creating mini-prioritization teams among employees to have a more autonomous role in the vetting, pitching, and implementation of ideas. But with successful pitches like “mail merge,” a feature that allows you to send personalized messages in bulk, Lervine believes there’s something to be said of a meritocratic approach, versus relying solely on one team or hard numbers proving one idea more valuable than the others.